Please note that this is not a complete list of burials of the Mount Repose Cemetery Inc.
Mount Repose Cemetery was originally purchased for the Methodist Church by a company consisting of the following person: John S. Gurnee, John D. Gardiner, John r. McKenzie, Issaiah Milburn, Lewis R. Mackey, Walter S. Johnson, Silas D. Gardiner, Leonard Gurnee, and Asbury De Noyelles. The land, thirteen acres, was purchased of Asbury De Noyelles for $1,200. It was laid out into lots, and Isaiah Milburn and John S. Gurnee were authorized to give deeds for them. Owing to some disagreement, a partition suit was begun soon afterward. The tract was sold at auction, by order of court , and was bid in by Clarence Conger, for $5,200. He gave Garret G. Allison power of attorney to sell lots, and that is the present condition of the title. 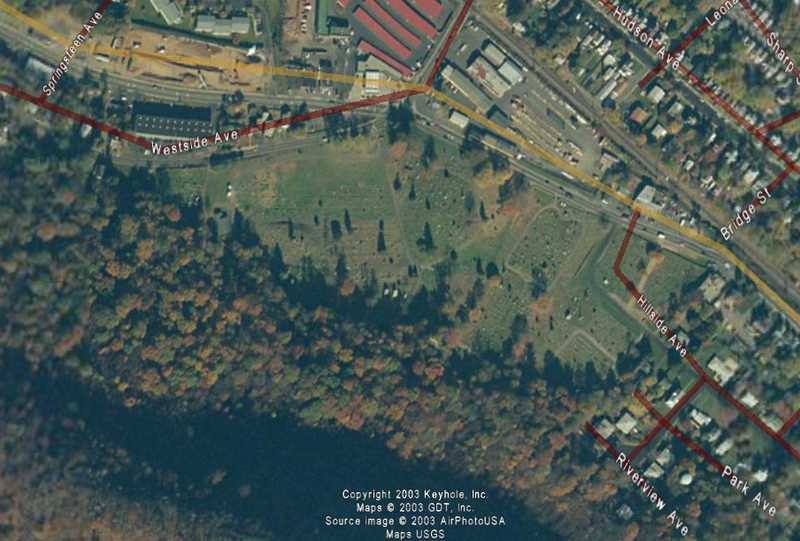 The cemetery was dedicated Thursday, July 7th 1853. The location is at the foot of the mountain, and probably it would be difficult to find a better site. Many of the monuments are of the most elegant design and the grounds are neatly kept. The oldest tombstone is one that was removed here from the old Allison family burying ground by the river, and bears the following: "In memory of Robert Hutchings, who was born the 8th day of September, 1697, and departed this like the 12th day of February, 1765, aged 67 years and 5 months and 4 days." Rev. David Cole. D. D.